Sylvie Mayer grew up in France and currently is focused on painting. 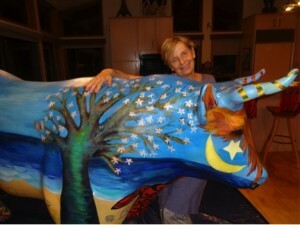 She uses a variety of mediums for her sculpture, collage, murals and painting. Everything that is beautiful inspires her. She paints nature full of bright colors. Elements often appear in surprising places.